Is Culture Shock Something You Need To Worry About? That’s the official definition. When you experience culture shock you will likely describe it in a different way. Traveling to a foreign country is one of the best ways to step outside your established comfort zone. Sadly, the fear of facing unfamiliarity deters many from exploring new places. I lived in Abidjan, and Lagos before moving to Europe. We were heading to Vienna and had a layover over in Bulgaria. We were on a smoking flight – can you remember when smoking on the plane was allowed? Sat in the non-smoking section, there was no getting around the strong whiff of all the cigarettes, not to mention the coughing! But you know what? I didn’t care. I could hardly contain my excitement and just wanted the long flight to end. Finally – we landed in Sofia. It was December and all we had at the time were with light coats in below zero weather. It was my first time seeing snow so I did not care it was freezing. It was ice-cold actually, but there was snow, snow snow! Can you remember the first time you saw snow? Having lived in Africa the first few years of my life, I was used to the hot sun and gentle wind. So seeing snow was a BIG DEAL! We checked into a bed and breakfast and went out for a brief walk in the city. Never in my life had I been stared at so much. By people passing by, hotel staff, women, men, children. Felt like everyone was staring at me – at us. Ummm…do I have a booger hanging out of my nose? Nope, it wasn’t that good feeling like people staring because you looked like a celebrity, movie star, or model. I remember it just felt kinda awkward. At the time, I had not come to know and understand the meaning of the terms prejudice, equality, racism, and segregation. I had never been confronted by it and those words were not a part of my vocabulary. Didn’t spend too much time thinking about it – there was way too much excitement and lots to see. The next morning we headed to the Airport. I was so excited to see Vienna. A place I would soon call home. Well, not so fast – let’s just say our house “wasn’t ready”. Our family checked into our hotel room and I could order room service for the very first time! The hotel served the best hot chocolate I have ever tasted in my life.The flight was under two hours.I had no complaints. Seeing Vienna for the first time was amazing. The architecture so different from what I was accustomed to. The sights, sounds, smells, snow, food, trams, and underground trains! We often associate culture shock with negativity such as frustration, confusion, or worry. However, it is not always so. That was my first real experience of culture shock. And I loved it. I was six years old. Fast forward 24 years later. I know, I know a huge gap – but here’s where it becomes interesting. I flew to Dubai for Christmas with my family. If you have ever seen a documentary or been to Dubai or the UAE, you know it is over the top in its grandness. We had a fantastic time. Gosh, there was so much to do! From Desert Safaris, quad driving in sand dunes to amazing food and seeing both the Burj Al Arab Jumeirah and the Burj Khalifa,it was an action packed fun holiday. Dubai offers everything you ever want to do right there on hand. And the city is RICH. Don’t forget, constructing of the Burj Khalifa alone cost $1.5 billion. From Dubai, we flew to Addis Ababa, the largest city in Ethiopia and Africa’s fourth-largest city. We were spending New Year’s there, though officially, on the Ethiopian calendar, New Year’s is celebrated on September 11. In fact, it is currently 2009 not 2016 in Ethiopia now. The Ethiopian calendar follows does not follow the Gregorian model adopted by much of the rest of the world. As such, they count 12 months consisting of 30 days each plus a thirteenth month of either five or six days depending on whether or not it is a leap year. I was unsure about what to expect. Going from a country of extreme riches to one of poverty would not be mentally or emotionally easy. You have seen the pictures of Ethiopia on the news….the food shortage, children starving, low education rates poverty, lack of running water – need I say more? Well, yes I actually do. There is so much about Africa that is hidden. Its beauty and all the great things this amazing continent has to offer. Ethiopia has often been called the original home of mankind due to various fossil discoveries. Most religious believers in Addis Ababa are Ethiopian Orthodox which makes up about 75% of the population. It is a relatively clean and safe city, with the most common crimes being pickpocketing. Thirty-two years has passed since the devastating famine in 1984, yet still people associate Addis Ababa and Ethiopia with those pictures engraved in their minds. I saw a different side of Ethiopia. I was pleasantly surprised and impressed to see the side of the country that the media will not show you. Both in the city and in the countryside. Experiencing culture shock, not only in these two countries but in other places I have visited has shown me how culture shock can be a positive thing to experience. Care For A Ride In A Horse Pulled Taxi? Exposure to different languages, sights, people and culture is a wonderfully exhilarating experience. Culture Shock will teach you that despite our differences and place in this world we live in, we are all connected and strive for the same things. Health, family, love, and happiness. Have you experienced culture shock, or have a fear of it? Please share them with me! I would love to know how you dealt with it. Great article, my biggest culture shock was when I moved to Taiwan, it was a life-changing experience, different language everything was different from what I’m used to. About prejudice, I used to say for myself something just affect you if you allow it to affect you. I nodded many times as I read this article. The staring, the excitement especially seeing the snow for the first time. Moving to Europe from my origin country in Asia gives me culture shock at first both negative and positive. Some parts are just not easy, but I learn that an open mind and an open heart are the key to adjust our being in the new environment. This is really a great post! For me, I think you just need to adjust. Yes there will always be culture shock. And I experience that too, especially with snow. I’m still not used to it, haha. But I’m trying to adjust. But still learn a lot from a certain country. What a great post and so interesting too! I think everyone has experienced culture shock, I know I have. I think it’s great that you have raised the topic, go you! I completely agree that culture shock is not always a ‘negative emotion’ although in many cases it can be. It must have been so difficult to see how the media so unfairly portrays some countries, when in actuality they are beautiful thriving countries who have survived famine, war and more to blossom into countries that deserve to be basked in. Ethiopia is very beautiful and as I can all well imagine creates a stark contrast to the grandeur of Dubai. Out of the two I think I would prefer Ethiopia as I love to immerse myself in nature. I agree that there are two sides of being culture shock. When I first arrived here in Australia, pretty much everything is ten thousand times different from where I came from. The place itself is stunning but the people and language is another thing. I’m still in the process of adjusting even it’s bene a year already. Yes, it definitely has it’s pros and cons so I try to embrace it all, and cope with it. This is such an interesting post. I am going to China in a few weeks and it will be my biggest ‘culture shock’ to date and I’m anxious/excited about what it will be like. I’m from Scotland so it will be a massive change, but I’m exited to experience a new part of the world! You have been so many wonderful and interesting places. Traveling is such an eye opening experience when you see and experience new things and cultures. Yes, the culture shock is for sure waiting in many destinations, but it is good to see the world the way it is, and step out your comfort zone. This is very true. I experienced culture shock in Asia when modern conveniences I was used to were nowhere to be found. It just takes some getting used to when you are unfamiliar. Those photos in Ethiopia are amazing and it is so true that the shots you see in the media usually involve famine or poverty. Hi Milijana, I am from Austria and when we went to Zagreb and Dubrovnik it was fine, but when you go to Split even though there are many tourists there, people still seem to be surprised that black people exist. 🙂 Bulgaria in the 90’s was a shocker. LOL. Love your approach to cultures and diversity. xoxo S.
So happy that you raised this topic! I experienced culture shock through my husband who was from Abidjan but was living with me in Italy. I speak of a small provincial town twenty years ago. He chose to move to England where he could be more easily integrated. Now I’m experiencing personally in Morocco where I often go because I have new friends and new affections there. It is not easy but wouldn’t give up for anything in the world because I am learning so many things about myself! Hi Silvana! Thank you so much for sharing your story with me. I actually lived in Abidjan when I was a teeny tiny toddler. We can earn so much from going through the process of culture shock. SOme things may not be wonderful, but if we take it as a teaching experience we can definitely grow from it. xoxox S.
Really interesting article and completely agree with your sentiments about what culture shock can teach us. I think one of the big reasons I travel is to experience the different cultures around the world. If it is a country that I know nothing of and cannot yet speak the language I do tend to go on a group trip first for a week or two until I get to understand how things work and then I spend additional time exploring on my own all the things I want to see. I think one of my biggest cultures shocks was when I went from Cambodia where we travelled by horse and cart with no shoes straight to Marina Bay Sands in Singapore with one dinner costing more than a year’s salary in Cambodia and walking past limousines and shops filled with sparkly heeled shoes. It really helps you put everything into perspective and realise what is actually important in your life. I’m soon heading off on an overland camping trip in Africa as it allows you to see much more of local life rather than the main tourist sights. Very interesting and important topic. I never traveled outside Europe, so I’d imagine I’ll have that cultural shock when visiting other continents, but I’m always keen to explore unknown places and cultures, so that will surely be an enjoyable process. This was a fantastic read. Culture shock is something that even stops some people fro travelling to certain countries which is unfortunate. The most shocking cultural spot we’ve travelled to was in Cuba or the Dominican Republic where the amount of poverty really caught us off guard a bit but it’s stuff like that is why it’s important to get outside our own bubble and experience how other people live their lives. Thank you for your kind words and sharing your thoughts Adam. Yes, unfortunately seeing people face poverty when watching on the news and when seeing it in real life are two different things. I am so grateful for my life and all I am able to see as well as learn from those who do not have the same opportunities but make the best out of life. Great article and I loved your persoective on culture shock. Yes it can be difficult, but travel ipens our eyes to new ways of living and helps us understand where different people are coming from in their thoughts and beliefs. For me it teaches a great deal of tolerance and compassion for others. Thanks for a great read. This is a great topic to bring up. It bugged me when I was in Thailand and saw so many tourists wearing skimpy clothing. I always try to find out the culture and what is acceptable and adapt while I travel. Wow, your photos from Ethiopia look so different than shots we can see on news reports. I personally experienced a culture shock as a kid when I visited India for the first time. Culture shock is not new to me but to be honest it has not affected because I do not take things for granted in my life. There were situations I had no electricity in the past or even I had to use my bike when I could not afford transportation. Moments like these taught me to be grateful for what I have, so when I visited a country with a very different lifestyle than the one I am used to, I was not that “shocked” but more understanding towards it. Thank you for this amazing post and the photos! Culture shock – the most dramatic culture shock that I’ve experienced was stepping outside Colombo airport in Sri Lanka, having left behind the leafy green hills of the Cotswolds. Surrounded by tuk tuk drivers shouting in every direction. For about two weeks I was overwhelmed as I processed all my new surroundings. Then I suffered the reverse – after four months, coming back and having to readjust. Culture shock is one of the hardest parts about travel and moving abroad! I felt it mostly in Vietnam as it was my first solo trip and you can’t get much different to England than eating noodle soup for breakfast. I cried a lot and felt so disconnected! Then while living and working in Maldives, we had Fridays off instead of Sundays and on those Fridays most things would be shut etc as it was a holy day. It sounds silly but I struggled to settle in and remember that I wouldn’t be able to eat out or go to the supermarket, sometimes diving trips were also cancelled- BUT after 6 months living there I was totally over my culture shock. I felt that people didn’t stare at me anymore and respected me as their children’s English teacher. Advice to anyone suffering with CS is to not give up! Join some clubs and try to embrace the new lifestyle, while letting go of your old one. Hi there! I’m happy I found this entry! How coincidental it is. I just reread/rewatcged Chimamanda Ngozi Adichie’s TED Talk “The Danger of a Single Story.” She is from Lagos! Culture shock happens when we only have one image/one story of a place, I think. This happens here in the Philippines as well. My god, Ethiopia is so beautiful! Africa, you are definitely in the bucket list! You are right Jona. Often the media will show only one side of a country, which is embedded in people’s minds as what the country is which is most times not the true representation of the country. I will listen to the TED talk you mentioned. Thanks for sharing the information with me. This is a very interesting subject! 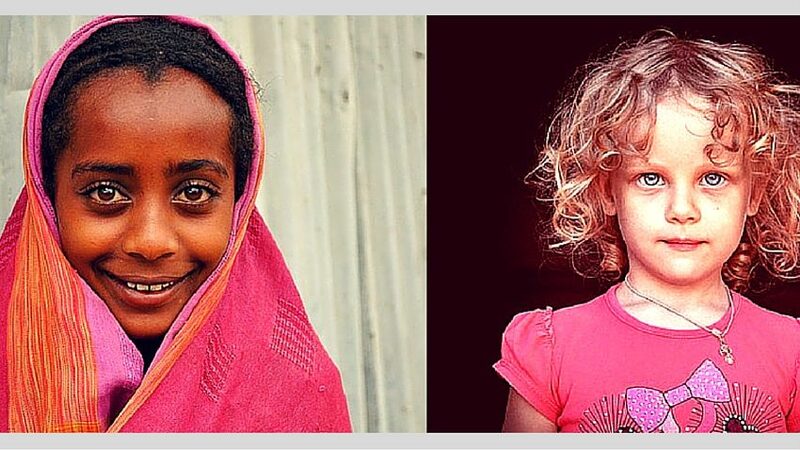 I loved the beautiful photos you posted of Ethiopia. They definitely challenged the image I have of Ethiopia from the news. For me, I often experience culture shock when I travel in places where it is unusual for a young woman to be on her own. In Italy, Russia, and South Africa especially I was asked where my husband/boyfriend was quite a bit. In New York City, where I am from, being a single woman traveling on her own is pretty common and doesn’t attract comment. But I just tried to assume that the other person wasn’t being malicious, they just have different expectations. You are right! In some countries it is completely unheard of for a woman to travel alone. I must admit, I applaud you for being able to do it. I don’t think I could or would even want to. Do you ever just want to share your experiences with someone while you are visiting the city, or do you feel like you are so immersed in the traveling that you can wait to write about it later? I would love to interview you about this and add to my blog to show a perspective on this and encourage other women to try it. I just saw this message! I would love to be interviewed any time! Just let me know! OMG! I have never heard of smoking flights and would totally hate to have to be onboard one. Cant imagine not being able to run away from the smell. Hahahahahahha! Bernard, when were you born? You must be in your 20’s. Culture Shock will teach you that despite our differences and place in this world we live in, we are all connected and strive for the same things. — Definitely, this came in my thoughts tonight. I was once afraid of being culture shocked, but eventually, I learned how to keep up with the demands of survival when traveling. When I studied Nursing in college, I learned how to immerse myself in the community so as not to get culture shocked. I learned how to blend in and function as part of the greater society I am a part of. Right now, I don’t really fear being culture shocked. I welcome it with open arms. For it is in experiencing that we learn how to deal with life’s atrocities and curve balls. Such an interesting perspective you have on these experiences! I loved the point of view from you as a child. I’ve definitely experienced culture shock – especially in developing countries, and even experience “reverse culture shock” when returning to USA after I’ve been away a while! Yes Marteen, images in our minds can blind us from the true beauty a country has to offer. We need to explore and embark on the adventure, gain further information, then create our own picture of what we think rather than the picture put into our minds. I hope you are able to achieve your dream of settling in Italy! Wishing you all the very best. I believe culture shock just is. It can be good or bad depending on how you interpret it, or what you are exposed to. Some things are just too much and challenge everything you believe in. Others just change your perspective about the world, make you think harder, and generally enrich you. As far as your experience in Bulgaria goes… I am guessing that was something that happened in the early 90s? I think you were right to brush it off, as that was probably more about you being the first black person they ever saw in real life for most of those you encountered. I am guessing you were traveling in a recently post-communist country and their regime wasn’t that different from that in my country. Travel wasn’t easy, especially if you wanted to go to a non-communist country, simply because it was not allowed. I was about 14 when I made the first black friend (he was the only one in our school and one of the very few in our city. And that was only because my city had a very good university that a lot of foreign students attended). Later on, when talking about it, he told me how awkward he felt because everyone was staring at him at first, and then all the girls buzzed around him, trying to get his attention. Alina – Thank you so very much for sharing this story with me. You are right about the timeline and I am so happy that I was able to learn about differences in race, culture and traditions at such a young age, and grow to learn to accept people (or not) based on their character and how they treat me. I love this line “I believe culture shock just is. It can be good or bad depending on how you interpret it, or what you are exposed to.”, it is exactly on point! I appreciate your feedback. Culture shock can be such an amazing experience. I love to travel and we’re the type of people that go outside of the cities and tourist areas. Seeing the ‘real’ parts of countries is where you experience more of the true culture. I am grateful that early on I have been traveling to different places in the world. I encourage the same thing with my daughter. I like to explore remote areas and not just hit the relaxing spots (like the beach or the mountains). It’s always a positive thing to learn about different cultures. I love experiencing new cultures! I also think culture shock is a good thing, it gives you the chance to learn and grow as a person and see how other people live. This is a really interesting perspective on culture shock, and not one I would think of myself. I think that you have made a good case for a positive culture shock! I love going to different countries because it wakes me up on my American privilege! I would have a minor culture shock that will literally turn into a culture appreciation because its beauty in the difference. I have friends that minister in Addis Ababa and am more than familiar with the poverty there so I was prepared for the worst. Your pictures are absolutely beautiful. Thank you for showing me the beauty of that area and giving me a different picture to add to how I envision it. I experienced culture shock when I moved to Beijing – but in a positive sense. It was such an amazing experience. I grew up in the US and my parents are immigrants from India. I experienced quite a culture shock when we visited India when I was a teenager. Of course, the images of poverty are ingrained in my mind but it was countered by the amazing warmth of the family id never met and the sheer number of them! 🙂 Ethiopia looks beautiful but it’s true when those images of poverty and famine take hold, they are impossible to forget. Your right culture shock can be both positive and negative and I had a culture shock of my own going to Madeira in my teens because there way of life is completely different to ours. It is a whole new world. You are very fortunate to have done so much traveling. I live in the United States and traveled through it extensively when I was younger. It is culture shock to see how others live sometimes in a not so wonderful environment. I think it is so important to have knowledge and respect for others and how they live. Your photography is beautiful. Wow – had no idea that Ethiopia had beautiful parts to it. Your photos are beautiful! I can relate to each of your examples! The worst culture shock I ever had, was reverse culture shock moving back to America after living in UK. As foreign and different as life was in Europe, I adapted and experienced the Good Kind that you referenced first. It was much harder for me to adapt when I returned “home”. I had no idea Ethiopia was so beautiful! It’s a shame that misinformation is so often shared with us. What an amazing experiences! I served as a missionary for my church speaking Spanish and I think culture shock can happen then too. Although I was in California, I experienced some of the same things, but looking for the beauty in the culture and your surroundings can turn a hard experience into a good one! Thanks for sharing! I can’t imagine going from Dubai to somewhere that is suffering economically. Beautiful! I’m sure the pictures do not do it justice, but it looks so different than I expected. I often picture Ethiopia with starving children and bloated bellies. That would definitely be a culture shock to me, but a good version of it. These photos are gorgeous. I need to travel some more! I moved from CA to MI and experienced a big cultural shock…ha! I always find it fascinating to visit other countries and experience their cultures – no matter what their culture is. It’s often very humbling. Wow, those are some really nice places, especially Vienna which is by far the most historical piece of land in my opinion. I can definitely understand why you had to put culture shock as a topic and it’s for a good thing. My only two cents about it is that the feeling shouldn’t be a norm anymore for most technologically-capable people. With all resources available at their disposal, different culture, tradition, places and skin shouldn’t come as a surprise anymore. I guess the shock might still be present but only for “home-longing” purposes. But yes, great sights you have yup there!